Back in 2010, Kurtley Beale played a quality of rugby and reached a level of greatness very few Wallabies have attained. That’s a big statement, but I really think it’s true. People disagree with me. They have cited Beale’s tackling and defence as reasons I was wrong. But to my mind, the good so clearly outweighed the bad that I can’t accept that contention. The first time I saw Kurtley Beale stand out somewhat was when he outsprinted several All Blacks to score a lucky try in 2010. Admittedly it was a weird try, but what made Beale stand out was his incredible pace. I had never thought of Beale as being a fast runner, but he seemed to have slimmed down and gained some extra yards. Beale outran Corey Jane and Dan Carter relatively easily as he glided away for the Wallabies’ only try in that Test. That was only a tiny taste, however, and didn’t reveal much about how great he was becoming. The real revelation came in South Africa in 2010. 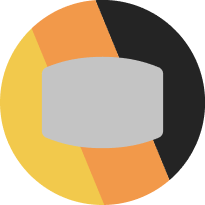 The Tests between the Wallabies and the Springboks generally don’t match the Tests that both sides have against the All Blacks, but the two Tests Australia and South Africa played against each other in 2010 were outstanding Tests – perhaps the best both sides have played against each other since 1993. I also regard the way Australia’s backline performed in late 2010 as being the highlight of Robbie Deans’ reign as Australian coach. Australia lost the first Test, despite having a huge lead. There were some serious problems in the Australian defence. The primary reason Australia had such a big lead in the first Test was because whenever South Africa attempted to enforce line-outs, Beale threw the ball back in and always beat his first defender. It was incredibly exciting to watch. Kurtley Beale was sensational! He set up what was undoubtedly the best Wallabies try of 2010. After stepping several players (I counted four), he made a break, offloaded to Elsom, before backing up as halfback, and putting James O’Connor over the line. I recall another try where Quade Cooper elected to use the whole width of the field, throw a double cut-out that stretched the whole of the Springbok pack. Two things were crucial to the Wallabies’ try – Beale’s speed and his support. It was a play that would have broken down but for Beale’s blistering pace. Then there was that moment he hemmed Bryan Habana into his own 22 and made a tackle on him. The ball came back to Beale, who once again put somebody over for a try. Of course the South Africa Tour will be remembered for the famous falcon that nearly cost Australia a Test. But Beale came back and slotted an incredible 50m penalty goal to capture the win. The wonderful fellows over at Green and Gold Rugby (which is the least insidious website ever invented), conducted a remarkable analysis of Beale’s incredible performances in South Africa. While much of the attention of the Test was given to David Pocock and his performance against Richie McCaw (Pocock was fantastic with the pilfers), and Adam Ashley-Cooper’s incredible solo-try, a real highlight was the manner in which Beale outplayed Mils Muliaina. Furthermore, few people realized, and few people appreciated, just how central Beale was to James O’Connor finding his feet in the Test arena. Prior to the Hong Kong Test, I don’t think we saw O’Connor at his best. But O’Connor, Drew Mitchell, and Beale were incredible together. Beale’s highpoint in the Test came when Stephen Donald failed to find touch in the last minute of the Test. Donald was rightly criticized for his mistake, but few realized how difficult it was for Beale to launch another counter-attack from about 45m out! Beale beat several players and put Australia back on the front-foot. James O’Connor, who played perhaps his best-ever Test for the Wallabies that day, was the try-scorer and kicked the winning conversion. In many respects, my favourite Kurtley Beale moment came against Wales in 2010. Beale almost scored what possibly would have been the greatest individual try in Wallaby history! Counter-attacking from inside the Wallaby half, Beale launched a massive up-and-under, which most fullbacks wouldn’t have been able to contest. Beale ran an incredible 30m in record time to contest the ball, and actually regained possession! From there Beale span out of a tackle, placed a grubber past the left-side of the Welsh fullback, and then ran outside the right-side of the Welsh fullback. He then re-gathered the ball, and was about to score one of the greatest tries ever, when he fumbled the ball over the line. Still Beale was as good as any Australian that day. The following week he scored a chip-and-chase try against England that few fullbacks would have had the vision to see. But the final joy of 2010 came against France, where the Australian backline produced their greatest-ever performance under Robbie Deans. I recall a try Drew Mitchell scored that few would have scored, but for Kurtley Beale’s sense to straighten up, and know exactly when to let go of the ball. That reminds me, he set-up a try in Hong Kong that year by knowing exactly when to let the ball go. Too early or too slow and the play would break down. He knew how to use his pace to create that extra metre for his wingers to score a try. Drew Mitchell owes some of his tries from 2010 to the brilliance of Kurtley Beale. In fact, the Beale-O’Connor-Mitchell back three was the most exciting part of 2010 for me. For a brief Camelot-like moment, O’Connor found his feet at the international level, and Mitchell became the attacking weapon we thought he would become back in 2005, when he acqua-planed over for a try against New Zealand. Beale has that big of an influence over O’Connor and Mitchell. The highlights of Kurtley Beale in 2010 are many. There was his pace. Few people realized this, but Beale’s clearance kicks were consistently the best all year, and gained the most metres in the Super Rugby season. His awareness and ability to read Quade Cooper was wonderful. A good attacking fullback must know when to inject himself into the play, without risking the team’s defence. The way he knew how to support and looked for support was amazing. There were a great many instances in 2010 when plays would have broken down, but Beale knew when to release the ball, how long to hold onto the ball, which angle to run to provide his support extra space. It was instinctual genius. It’s often said Gary Ella’s greatest attribute was when a break was made, he knew how to set up his support and when to let go of the ball. Beale exhibited that all throughout 2010. People forget Beale was nominated for the IRB Player of the Year Award, and while I don’t know if he deserved it, part of me wanted him to win it because he was so exciting all throughout the year. He was the spice in the Wallabies. Despite his noted flaws, he hit a level of excellence in 2010 that few Wallabies reached. He was with David Campese in the stratosphere! Injury took its toll on Beale in 2011, and he didn’t play in the Wallabies’ loss to the All Blacks in the World Cup. Beale was good that year, like Shane Warne was good after his shoulder injury, but Beale was not up to where he was in 2010. Fast-forward to 2012 in Sydney and Beale put on what was unfortunately probably his worst Test for the Wallabies, with his defence allowing two easy tries to be scored by the All Blacks, who pretty much won that Test on cruise control. Added to this is the disappointing Lions series he had in 2013. Now Israel Folau is my favourite player. He’s the most exciting player in the Wallabies right now – a tremendous attacker with an amazing leap and he’s wonderful under the high ball. I think he can get better too! Already on this British Tour he’s been, along with Stephen Moore and Quade Cooper, Australia’s best player. I wouldn’t be surprised if Folau won the John Eales Medal next year. He did well enough this year in the John Eales Medal and didn’t even play on last year’s British tour! Only the other Israel (Dagg) and the Welsh fullback Leigh Halfpenny are better than Folau at fullback right now. Give him one more year, we might see Israel Folau as the world’s best fullback in rugby union! But there’s a tiny part of me that can’t rate Folau as highly as Beale from 2010. All we saw of Beale’s greatness seems to be one year. Will people ever remember or realize that for an ever-so-brief moment we saw a rugby player who was playing at a level few Wallabies have reached? I now wonder if we’ll ever see Beale at fullback again? Whatever the Wallabies’ problems, Quade at 10 and Folau at 15 have acted as the spine which holds together the Wallabies backline. No matter how poorly the backline plays, there’s a sense that if those two hold things together, the Wallabies can get through. I’m actually predicting the Wallabies to win this weekend, provided those two players play well. 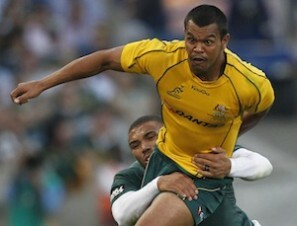 Will Kurtley Beale play for the Wallabies again? Where could he be put? Lastly, it doesn’t seem possible for him to reach those heights of 2010… Will we ever see that Kurtley Beale again?